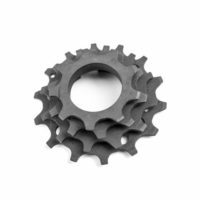 Make your move to 1X and crush the steepest climbs with the EX cog.Shifts stay crisp thanks to e*thirteen shift know-how and the anodized aluminum resists flex under heavy power. Pair with a dual width Guidering M and you are ready to go. 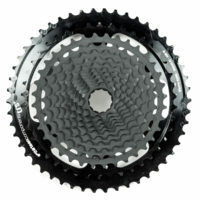 Features: Replaces 15t or 17t cog on existing cassette. 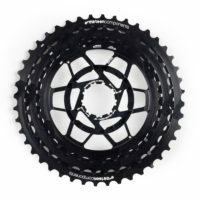 Extra strong at base to prevent flex, stand-offs brace EX cog against cas­sette rings or carrier. Includes longer B-limit screw for proper adjustment. 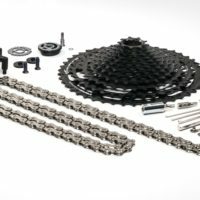 TRS Plus 12 Speed Upgrade Kit. 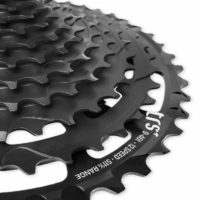 Our kit lets you upgrade your existing 11 speed SRAM™ drivetrain to a 12 speed drivetrain without needing new cranks, chainrings, shifters, or derailleurs. 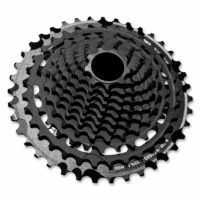 The TRS Plus 12 Speed Cassette offers the same 511% (Eagle™-beating) range, an unbeatable value, and crisp shifting performance on SRAM™ drivetrains. 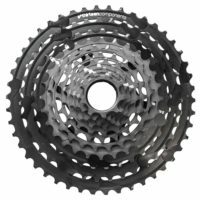 Why spend MORE money on SRAM’s™ full Eagle™ 12 speed drivetrain, when all you get is LESS range and MORE weight? – You don’t need a whole new drivetrain…just our cassette and shifter. 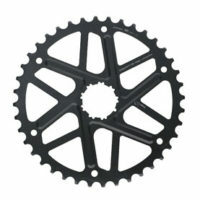 – Keeping your existing 11 speed SRAM™ drivetrain gives you better ground clearance in both the chainring and derailleur. 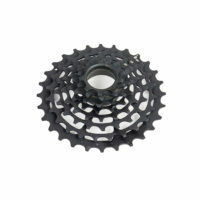 – The smaller 11 speed derailleur, chain, chainring, and cassette are SIGNIFICANTLY lighter than Eagle drivetrains. 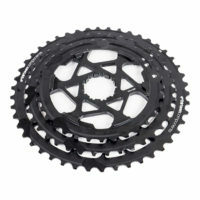 – The 9-46T cassette has a straighter chainline in comparison to Eagle™, for a longer-lasting drivetrain.